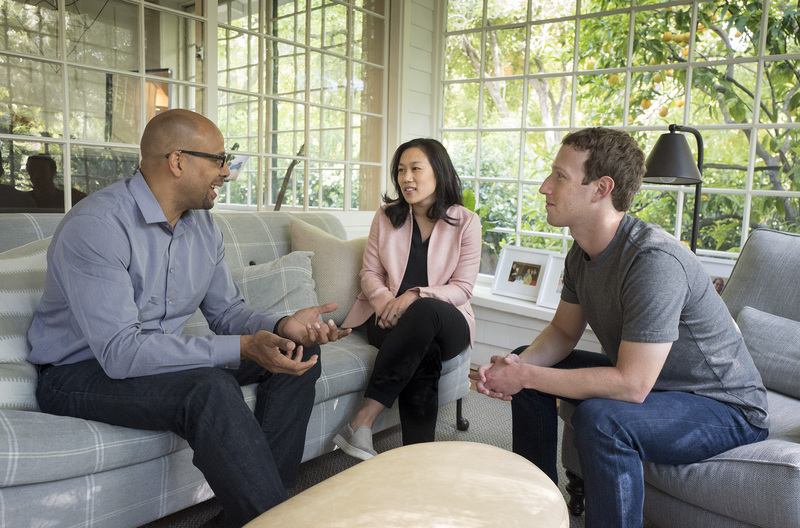 Mark Zuckerberg: Priscilla and I are excited to share that Jim Shelton is joining the Chan Zuckerberg Initiative to lead all of our education efforts. Jim has already made an impact working in government, business and philanthropy. He was deputy secretary of the US Department of Education, led education efforts at the Gates Foundation, and most recently was president of a public company focused on education technology. The Chan Zuckerberg Education Initiative is new, but it pulls together all of the education projects Priscilla and I have been supporting for years. We are focused on two main areas: personalized learning and underserved communities. When our daughter Max was born, Priscilla and I wrote a letter asking if it was possible for children of Max’s generation to learn 100 times more than we learn today. This isn’t as crazy as it sounds. For the last century, our education system has been based around lectures, where every student learns the same thing at the same pace in the same way. But in reality, some kids grasp subjects quickly and could be learning much more, and others need more practice in certain areas and get left behind. Personalized learning is different. Teachers and students have many different options for learning each lesson — from working in teams, to playing learning games, to watching videos and talking to mentors. Every student can learn in their own way at their own speed in a way that maximizes their potential. The Gates Foundation and Rand Corporation recently did a study that found that personalized learning has a very positive effect on overall performance. For every year a student was in a good personalized learning program, in some cases they learned an extra half year of material. That’s why one major focus of the Chan Zuckerberg Education Initiative will be to empower teachers and parents to bring personalized learning to their schools. We also want to focus on removing barriers to success for the most vulnerable kids. Because if you face poverty, don’t feel safe, or live in an unhealthy environment, it’s a lot harder to learn. To help with these challenges, we’re taking a different approach. We set up the Chan Zuckerberg Initiative with the flexibility to support non-profits, invest in companies and advocate for policies that will advance this mission. We’ll build technology where it can help, and we believe in listening to and working closely with parents, teachers and students to understand the specific needs of the communities we’re working in. We’re also building on what we know. I’ve seen the difference software can make in how we teach and learn. Priscilla’s work as a pediatrician and a teacher has taught her how important life outside the classroom is to a child’s ability to learn inside it. And now Jim will bring all of his own experience in improving personalized learning and helping underserved communities. The mission of the Chan Zuckerberg Initiative is to advance human potential and promote equality. This is a long term mission and progress won’t happen overnight. But if we plant seeds now and let them grow over time, then we can improve complex systems like the way we educate our children. Priscilla and I are excited that Jim is leading the Education Initiative, and we look forward to working with him.